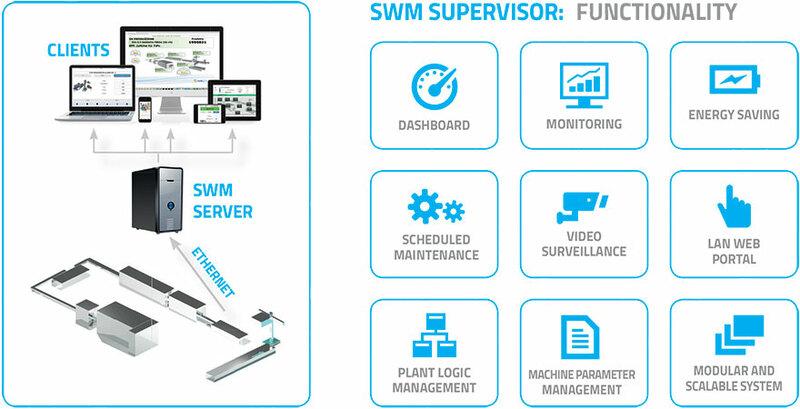 SMI's new SWM supervision, automation and control application, developed according to IoT and Industry 4.0 principles, combines the functions of collecting and monitoring production data, with a set of tools that simplify the monitoring and management of the system, improving productivity, safety and cost containment, and ensuring an excellent return on investment. SWM Supervisor is based on an open and flexible modular enterprise web portal, that fits any application environment and is available in a basic, standard or premium version, in order to satisfy the need of individual data collection and supervision. 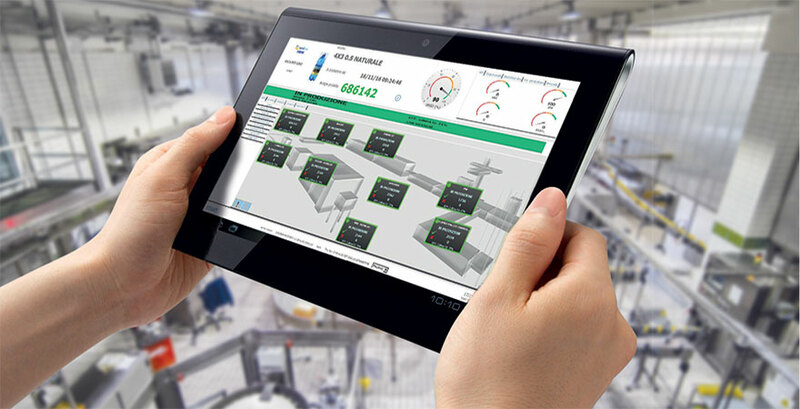 SMI customers can use this innovative system to easily identify the main causes of "downtime" on their bottling/packaging lines, achieve greater overall efficiency and reduce the time required for system maintenance and format changes; structured reporting also makes it possible to perform interfunctional analysis. The aggregation and distribution of the information gathered by the various smart devices located throughout the production line and connected to the network, are easily managed and conveyed via the Internet for instant sharing with people, systems and other IT applications, both on the Internet and on the corporate intranet.